Mesothelioma research from the University of Maryland School of Medicine in Baltimore has revealed an important factor affecting survival rates for peritoneal mesothelioma. The study set out to refine the way patients are selected for a certain peritoneal mesothelioma treatment regimen that has been shown to prolong survival. As with any new mesothelioma research study, careful testing and monitoring plays a huge part in extrapolating data and measuring positive results. Mesothelioma is a cancer caused by exposure to asbestos. The mesothelium is the lining that protects your internal organs. The most common form of mesothelioma is pleural mesothelioma, which affects the lining around the lungs. Because asbestos fibers are most often inhaled, the lungs are the first stop for this toxic mineral. Peritoneal mesothelioma is the second most common form of the disease. It affects the lining around the organs of the abdomen. Peritoneal mesothelioma can take the form of a tumor that can create a feeling of pressure inside the abdomen or in small nodules of cancer cells that are spread out across the mesothelium. A promising treatment developed through peritoneal mesothelioma research is a combination of surgery to remove the cancerous tumor combined with targeted chemotherapy. The surgery, called operative cytoreduction or CRS, removes as much of the malignancy as possible. The follow up treatment is hyperthermic intraperitoneal chemotherapy or HIPEC. This involves injecting heated chemotherapy drugs directly into the area of the cancer. This is especially important for patients with peritoneal mesothelioma, because mesothelioma research has shown more traditional forms chemotherapy are generally not as effective at treating this form of the disease. The one-two punch of CRS and HIPEC has had great results for some patients, with survival times stretching for extra years. Yet, other patients don’t seem helped by this treatment. The University of Maryland mesothelioma research team wanted to find out why. The University of Maryland mesothelioma research team started with the theory that a blood condition called thrombocytosis might be the factor that determines whether the CRS and HIPEC treatment is effective. Over a period of 10 years, they conducted mesothelioma research on 100 patients who received this therapy for peritoneal mesothelioma. Thrombocytosis is a condition where your blood has too many platelets. Platelets are the cells that cause blood to congeal when you get a cut. Thrombocytosis often has no symptoms and is not always a cause for concern. Patients often don’t know they have the condition until it is revealed by a blood test. This extra platelet count can arise from a bone marrow problem (essential thrombocythemia) where your bone marrow makes too many megakaryocytes – the cells that produce platelets. In other cases, it develops after surgery, cancer, blood disorders, or other conditions (reactive thrombocytosis). If you have an overabundance of platelets in your blood, you might not know it. If you do have symptoms, they could include a pain in your chest, feeling faint or dizzy, your feet or hands going numb, or headaches. 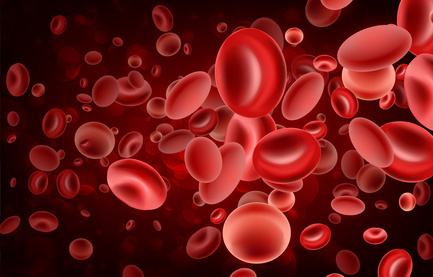 The University of Maryland mesothelioma research team looked at which patients undergoing CRS and HIPEC treatment had thrombocytosis before surgery to see if the high platelet count condition had an effect on their outcomes. What they found was striking: patients who had thrombocytosis before undergoing surgery did not respond to the treatment nearly as well as those with normal platelet counts. The mesothelioma research team concluded that “thrombocytosis reflects aggressive tumor biology.” In other words, the elevated platelet count might be reactive thrombocyctosis caused by a particularly virulent form of peritoneal mesothelioma. Mesothelioma research has not yet found a good method to determine the progression of peritoneal mesothelioma. This is called staging, where cancer is typed by how far it has advanced in the body. If thrombocytosis is an indicator for aggressive peritoneal mesothelioma, it could help in determining the severity of this cancer. Alternatively, future mesothelioma research might find a way to treat the platelet condition and improve outcomes for the CRS and HIPEC treatment. Mesothelioma research has opened up avenues for extended survival and hope for patients and their families. The combination of surgery and heated, locally-administered chemotherapy in this study yielded a 36% survival rate after 5 years, which is very encouraging. There has even been some success using HIPEC for pleural mesothelioma, though this type of chemotherapy is typically only used on cancers of the abdominal region. Mesothelioma research may focus on how to prevent mesothelioma or on better ways to treat patients who have developed this form of cancer. Advancements in surgical techniques have brought renewed life expectancy to patients with pleural and peritoneal mesothelioma. Research on the genetic makeup of mesothelioma tumors has led to new possibilities for immunotherapy treatments. Immunotherapy uses your body’s powerful immune system to attack the cancer but blocking the mechanisms cancer cells use to hide from immune cells. Another emerging treatment that is the subject of mesothelioma research is photodynamic therapy. In this treatment, doctors inject a drug that is attracted to and converges on cancer cells. This is usually done in the week before surgery. In the operating room, doctors shine a particular type of light on the cells. The light revs up the drugs so they kill cancer cells. Because the drug concentrates around cancer cells, this type of chemotherapy may cause less damage to healthy cells. With fewer harsh side effects, photodynamic therapy holds the promise of more effective chemotherapy. Look for more mesothelioma research on this innovative treatment. There may even be a clinical trial near you. Someday, mesothelioma research may even yield a vaccine to protect people who have been exposed to asbestos from developing this form of cancer. After a new treatment shows promise in animal tests, the next step in mesothelioma research is clinical trials. Researchers test the new therapy on mesothelioma patients in controlled conditions and record their responses. If the treatment seems to work well in early clinical trials, mesothelioma research will expand to include even more patients before being introduced to the mesothelioma community at large. Ask your mesothelioma specialist about studies near you. If you qualify for a clinical trial, you will not only be getting excellent medical care; you will be contributing to mesothelioma research that could help other patients just like you.